Bookmaker Affiliates is the sportsbook affiliate program for Bookmaker.eu. The program has extreme terms and conditions where you must refer a minimum of 10 actively wagering customers in the past week. This is a very bad term and condition for an industry like sportsbetting where many sports have off seasons lasting for months. Important Update: Bookmaker.com domain has been seized with the new domain changed to bmaker.ag, update your tracking links. BookMaker Affiliates is the sportsbook affiliate program for BookMaker. The BookMaker sportsbook has been online since 1995 and is one of the oldest online sports betting sites around. The bookie is based in Costa Rica and according to their website the site is owned by BMX Entertainment Limited in Cyprus. The sportsbook is mainly targeted for American players but also accepts most players from around the world and focuses on North American sports such as NCAA basketball, NCAA football, NFL, MLB, NHL and NBA. The betting brand also features a racebook, online casino, poker room and offers mobile sportsbetting on iPhone, Android and Blackberry operating systems. The revenue share rates range from 25% to 40%. 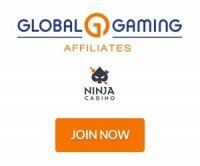 Affiliates should make note of their terms and conditions policy that in order to withdraw or transfer earnings, the affiliate must refer a minimum of 10 actively wagering customers in the past week. This rule essentially encourages only full time affiliates join the program and many popular sportsbetting affiliates are promoting bookmarker. To see if this affiliate program is right for you contact us directly before you signup. The backend is a fairy simple and straight forward layout for affiliates. The landing page shows the stats that matter the most: current balance, number of players plus number of players that have wagered this week. The main tabs are Cash Flow, Player Management and Marketing. The Player Management tab shows player open bets, player history, weekly balance and affiliate position. The Marketing tab features the banners to promote the sportsbook to your players. The BookMaker affiliate program has been around for many years and offers decent revenue share deal. This sportsbook is only recommended for full time affiliates that already have a well established affiliate site and are confident they can generate and maintain 10 actively wagering players in any given week.